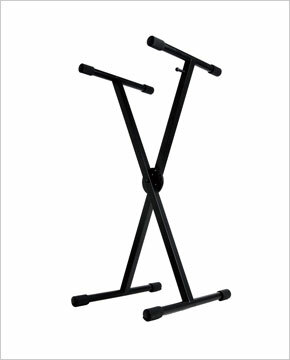 Professional single X keyboard stand. Trigger operation for fast set-up and positioning. Adjustable rubber upper support arm sleeves can be positioned to fit virtually any keyboard.